Anglers coming to Belize have created a unique challenge for themselves and anyone who wants to try! 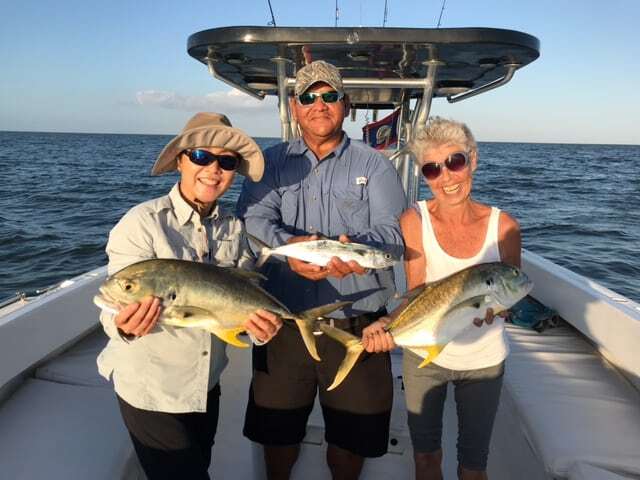 The challenge is to catch one each of three species – the Bonefish, the Permit, and the Tarpon! …in one day – that’s a Grand Slam! Sounds easy and it has been done by beginners! If this interests you, May, June, July, August and early September are considered to be the best months mainly because there are good numbers of all three species available. Summer temperatures are in the low- to mid-90s and a steady trade wind generally makes the weather very comfortable. This calendar shows peak fishing months for these fish. We invite you to join the many anglers who come to Belize each year just for the Grand Slam experience! Take this challenge! It is thrilling no matter your skill level and beginners do amazingly well their first time out! 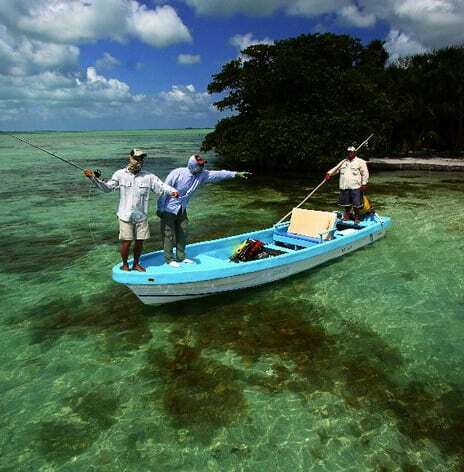 We have guided anglers from around the globe who come to experience Belize’s world-class fishing! 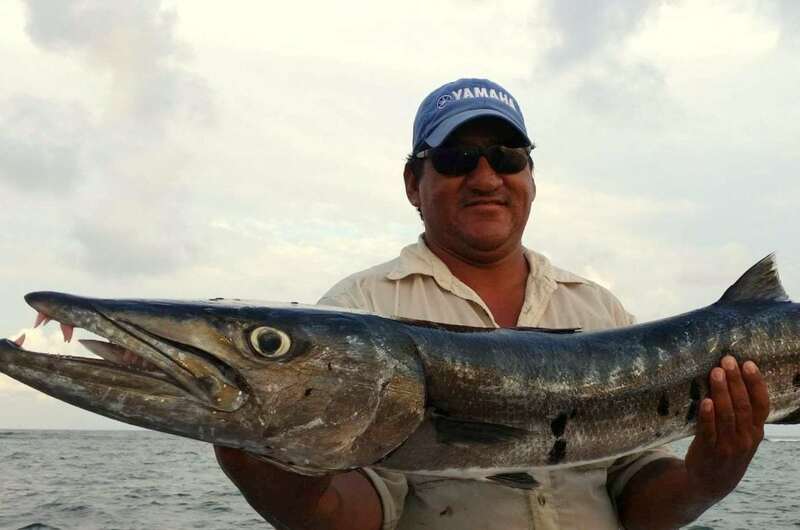 You are up against the world’s best game fish and they do not want to be caught! So who are the challengers! Belize boasts of a strong resident population of Tarpon, averaging fifty pounds in the winter, while in the summer they fill out too well over a hundred pounds. Bonefish also have a year-round presence and are perhaps the most convenient fish to hunt. Step off the sandy shores of one of the cayes and you’ll find yourself in a bustling fishing flat. 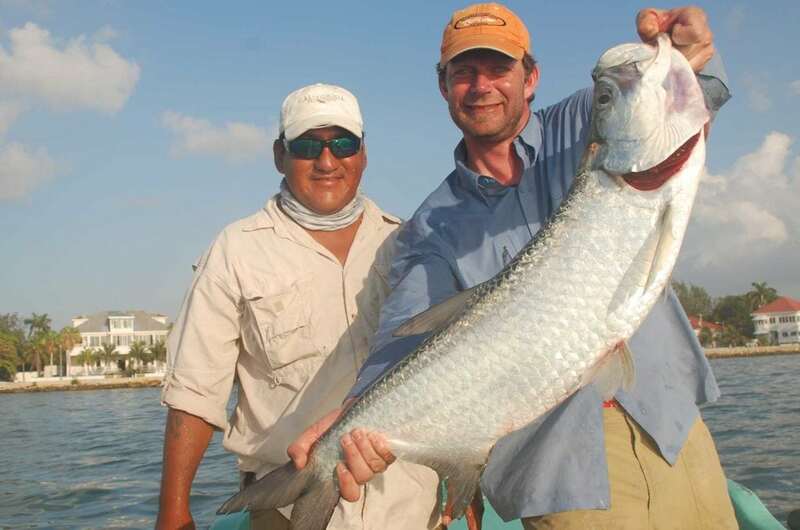 Ambergris Caye, north to Rocky Point and the Bacalar Chico channel, are considered two of the best Bonefish battlegrounds. Expect an average weight of three pounds, although they have been known to reach eight pounds. The elusive Permit has been called, “the grey ghost of the flats”, and has frustrated more anglers than possibly any other fish, anywhere in the world except Salmon in fresh water. Permit fishing is the most difficult type of fishing you will ever do. With eyes of a hawk, unbelievable hearing, and a sense of smell that would make a bloodhound cry, Permit is definitely one of the most difficult fish to catch in salt water. To top it off, they get moody, sulky, and will sometimes just flat out refuse to cooperate. Still, each year, thousands of anglers flock to this finny and fickle phantom’s locations, to try their luck anyway. Why? Because catching a Permit of any size bestows lifetime bragging rights upon the lucky angler, in any fishing circle, anywhere in the world! This could be you! 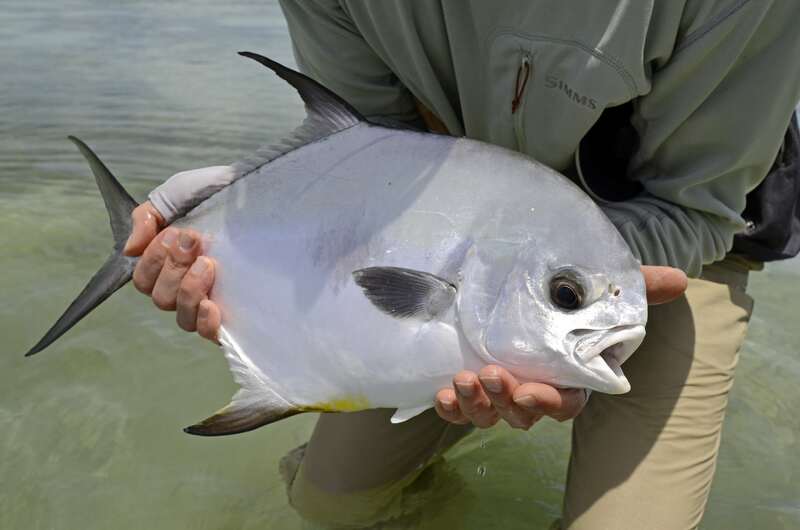 The permit is by far the most difficult, picky, frustrating fish you’ll encounter on the flats. They have superb eyesight and a well-developed sense of smell. A prized catch! These fish are always plentiful but not easy to land. Accuracy is key to this challenging fun fish! This is a fast, agile fish that will give you a good fight and what a thrill to land one! This a very powerful fish and thrilling catch which is why it is the most sought after and prized gamefish to catch. This one we can take home for dinner.